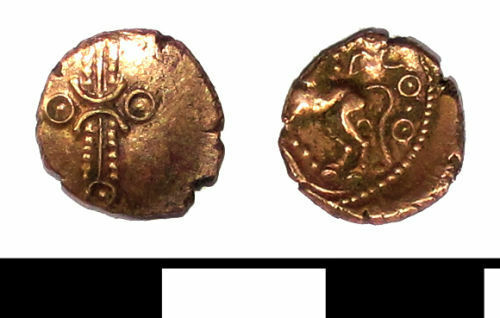 Iron Age silver coin: British Eastern (Trinovanties) silver unit of Dubnovellaunos. Dating circa 30-25 BC. VA 1663.01, ABC 2398.